Mike joins us this week for more Not Self Serving Recommendations. 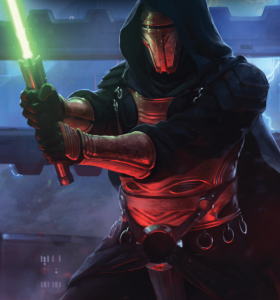 Revan is one of the best characters from the Star Wars EU now known as Legends and this is an excellent video series about him. Mike came on the show today to specifically tell Mel to listen to Psychotica because Enrique plays an awesome cello. They also appear in Mike’s documentary that we’ve talked about before, Our Summer Vacation. Here’s a link to their Bandcamp page. 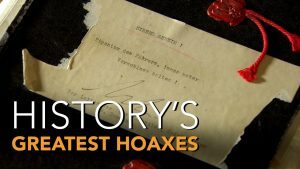 A 6 episode series about some of the greatest hoaxes in history, such as Hitler’s Diaries, the Loch Ness Monster 🙁 , and alien autopsies. Tagged History's Greatest Hoaxes, Our Summer Vacation, Psychotica, Revan, Star Wars. Bookmark the permalink.